Varroa – What can we do to protect our hives? 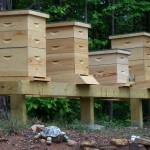 Home / Uncategorized / Varroa – What can we do to protect our hives? Mites are the #1 killer of honey bees across the USA. It is that time of the year, July, to have a short teaching topic concerning Varroa. Let’s first discuss some wild claims across the USA. I hear people state “My bees (Italian, Carniolan, Caucasian, Russian, etc…) are hygienic and do not have mites”. You may not have many mites this year but sooner or later your apiary is going to “crash” due to a build-up of the mite load in your apiary. Additionally, most hive “die-off’s” in the fall and winter are due to heavy mite build-up during the late summer and into fall and decimate the colony population. Here in the South, we see August as the peak month for Varroa to explode in their hive population. I also hear, “Mites are not in my area”. Mites are found in all states that we serve. Mites are in the flowers our bees forage looking for pollen and nectar. The mite attaches to the foraging bee for a ride back to the hive. I have also heard, “I have never treated for mites before but I keep losing my bees every winter”. The winter loss is mostly due to the colony being decimated in reducing the cluster enough so that there is not a large enough colony to stay warm during the cold winter months. What should a beekeeper do? Now is the time to order your mite treatment and treat your bees as soon as you harvest the last round of honey from the hive. This means no later than late August for those in the far north. Please follow the directions step-by-step so you do not injure your colony. There are two ways to treat a hive. Organic or Chemical Treatments. The best organic treatments are “Mite Away” Strips or Apiguard. Mite Away is a “one-time” treatment. 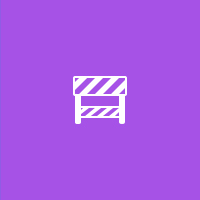 Apiguard is a two time treatment. There is a few other but there are negative effects on using these other treatments. 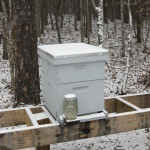 We have never use chemical treatments on our hives. We did not want any residue left in our hives. Additionally, you can use a mechanical way for dealing with mites and that is utilizing a screen bottom board starting in the Spring into early Fall. As the bees are hygienically cleaning each other mites can fall of the bee. As the mites fall they fall through the screen and out of the hive. Excellent way to mechanically reduce the mite load of a colony. BUT, you still need to treat for mites! Here is a trick to know your mite load. 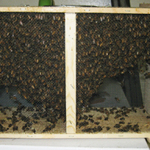 Bring your Smart Phone to the hive and pull a frame that has brood on the frame. Then pull out your phone and take a picture of the frame. The next step is to go inside and magnify the picture looking at the back of each bee. Some mites will be smaller then (.) a period. Other mites will be adult size and very recognizable. You can do this same routine on three other frames to give you a better understanding of the mite counts. Most universities state 50 or more mites constitute a need for treating mites. So the take-away from this article is to be on the offensive when it comes to colony management. We as beekeepers have a choice to either control the mite load or the mites will decimate your hive. There is really no in between when it comes to mites. 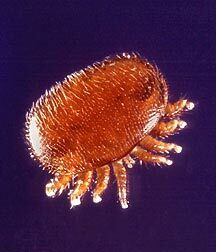 Below are a few pictures of what mites look like.